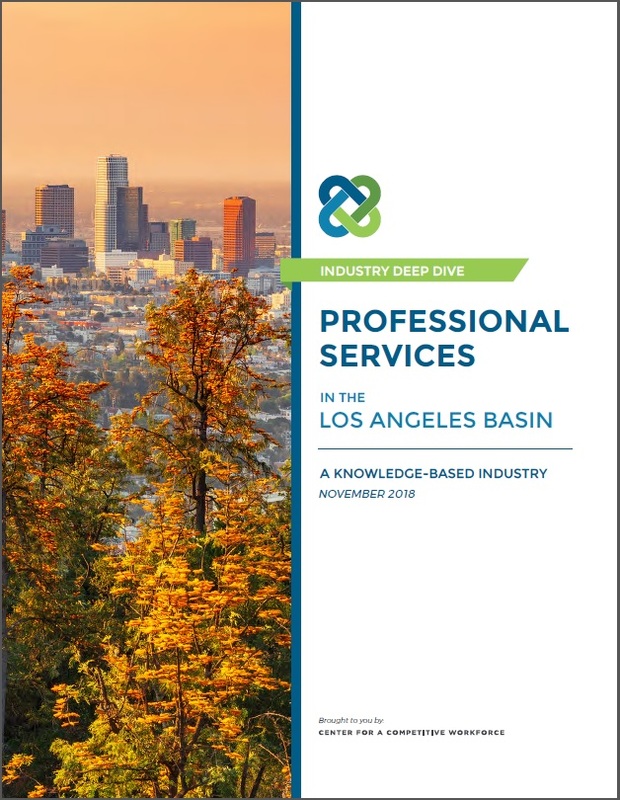 In a continuing series of industry deep-dive reports, the Center for a Competitive Workforce, which LAEDC co-founded, has released Professional Services Industry in the Los Angeles Basin, which forecasts job opportunities, analyzes changing skills requirements, and illuminates career education pathways for the professional and business services industries in the greater LA Basin. The report, accompanied by a 8-page overview, was funded by the Strong Workforce Program, an initiative of the California Community Colleges Chancellor’s Office. More details and summaries available HERE.